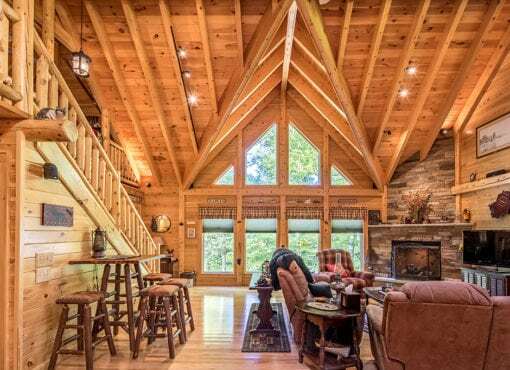 From its superior R-value and insulating qualities to its natural resistance to rot and insects, we feel that Northern White Cedar is a cut above other woods commonly used in log home construction. 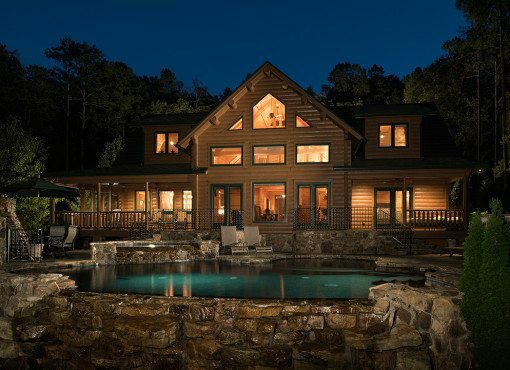 Because of cedar’s dramatically lower water content — 2.5 times less water than pine—we are able to air-dry our logs resulting in less cracking and splitting. If necessary, the logs are finished in our steam powered kilns. 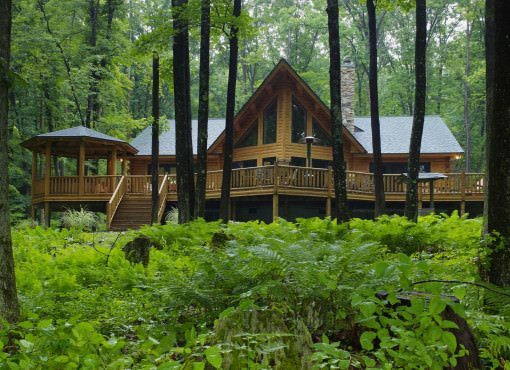 Environmentally, cedar makes sense: the Northern White Cedar forests are naturally sustainable. Katahdin is able to purchase its logs from forests within a 100-mile radius of our plant to save on the cost of trucking raw materials. 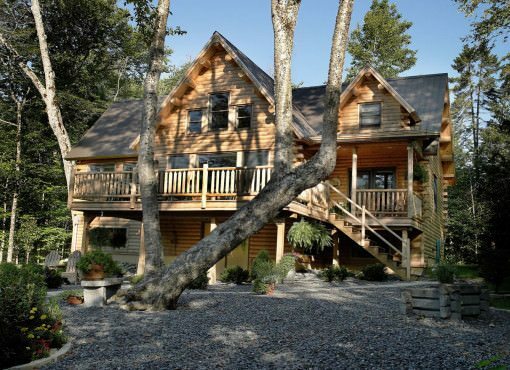 Katahdin has a network of dealers and builders who can construct your home. To find a dealer near you, visit our dealer locator. 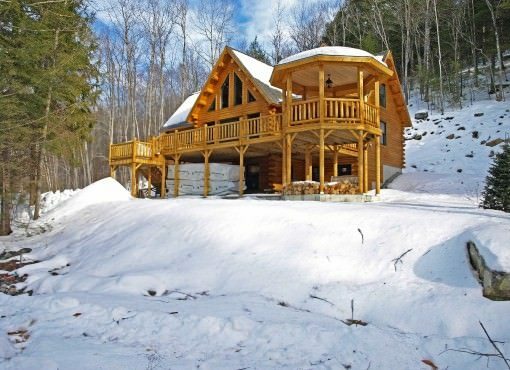 Yes, many of our customers have built their own Katahdin Cedar Log Homes. 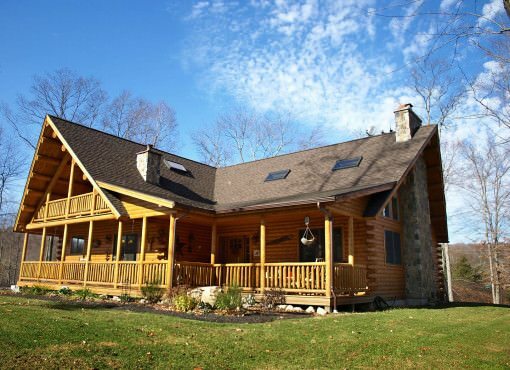 Each package includes a comprehensive Building Manual which details the techniques specific to log home construction. We also make it easier to assemble before it even leaves the mill, with pre-drilled, bar coded components assembled on wafer board to unload in the order you build, from the bottom up. 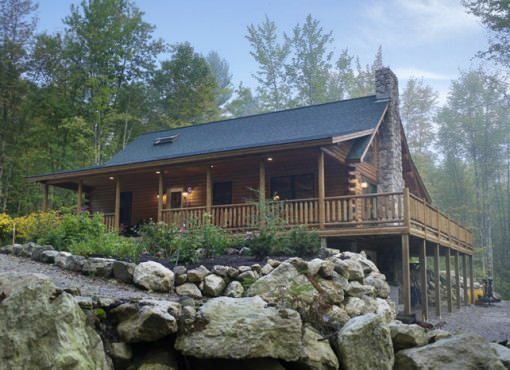 Our in-house design team is available to customize an existing Katahdin plan or to start fresh with your own ideas. 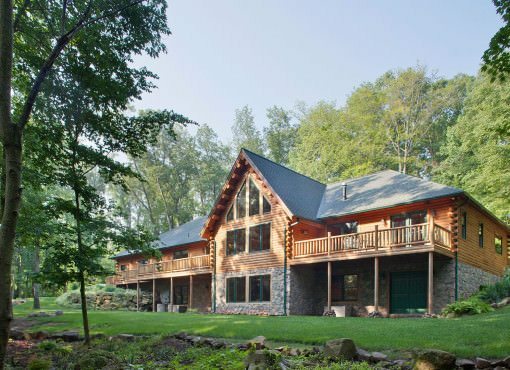 We also work with architects as well to prepare plans that work with the log home parameters. 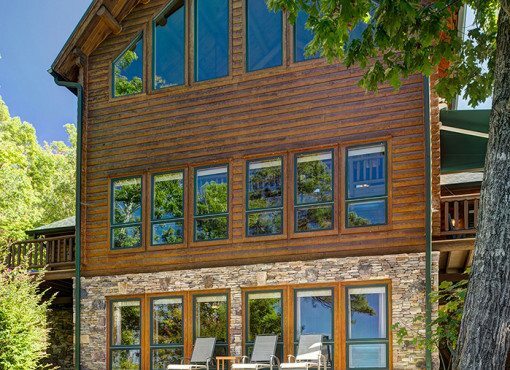 From a small adjustment in window placements to a customization of an existing plan all the way to a complete custom design Katahdin’s professional design team can work with you to get the details you want incorporated into your home. 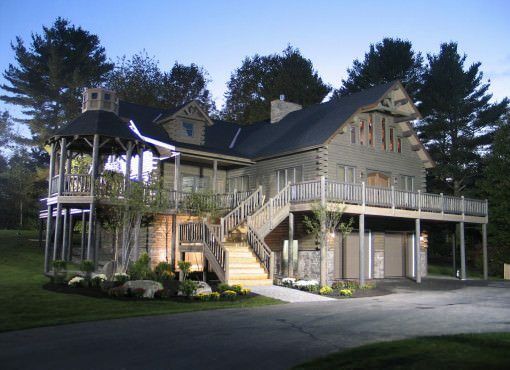 Most of our customers opt for the no-cost insulation package, which allows for traditional wiring schemes. 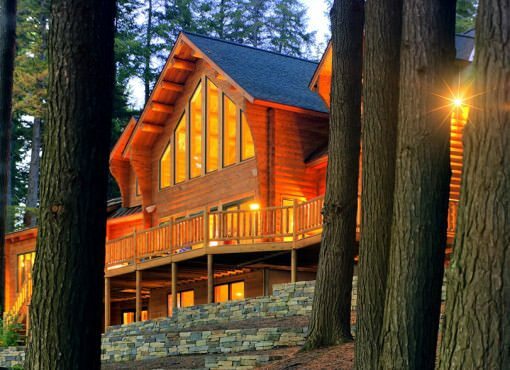 If you opt for our premium log walls without an insulation package, exterior log walls should be drilled to accommodate wiring as the logs are being laid. Outlet receptacles are normally located in the third log row while switch boxes are located next to door openings with wires being mortised into door rough bucks. Most construction crews will perform the drilling during construction. Stains and topcoats protect your home from damage from the sun’s ultraviolet (UV) rays. The sun and weather can break down the cellular fibers that make up your logs. To protect your investment, apply stain and two top coats to filter the UV rays and keep the elements out. 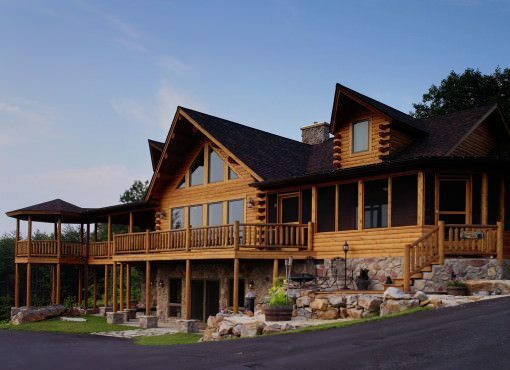 Katahdin Cedar Log Homes has had great success with the water-based products of Perma Chink Systems for stains, topcoats and maintenance products, which are available at a discount through your Katahdin dealer. Though it is not necessary to apply finish to the inside log walls, doing so can make cleaning easier and make wall surfaces resistant to stains from oils, grease, dirt, and odors. Also, most finishes will bring out the distinctive wood grain and knots which can provide a very attractive surface. 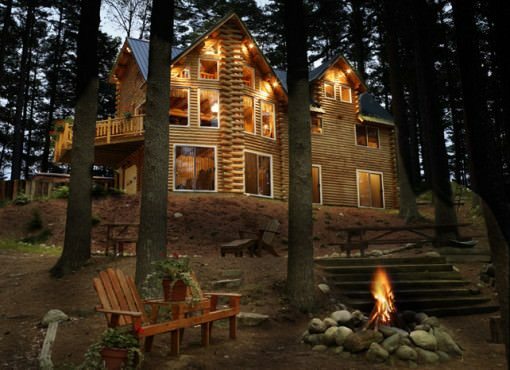 We recommend that logs be lightly sanded before finishing to remove any marks created during shipment and construction. 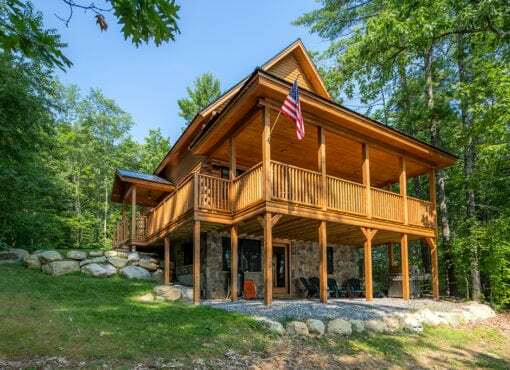 In general a log home can be erected on any type of suitably designed base, including concrete slab, pillar and beam, crawl space or full foundation. Your construction blueprints will include specific dimensions for construction based on your foundation requirements. 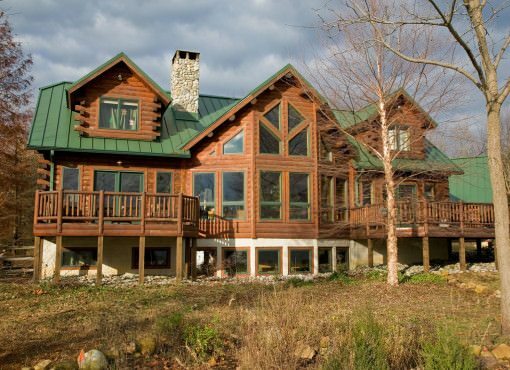 As our lifestyle changes, will it be possible to build additions to our log home? Yes! 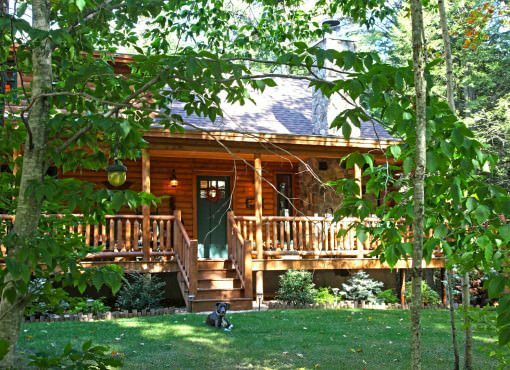 Throughout the years Katahdin Cedar Log Homes has provided additions to many of our homes. 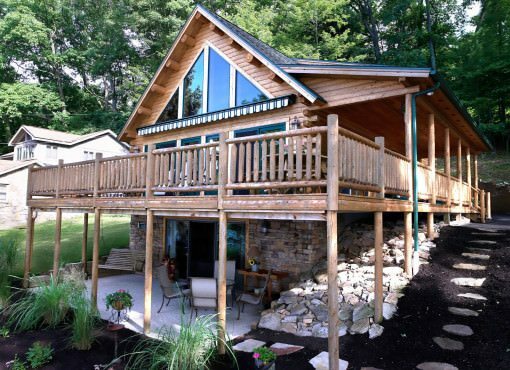 We have developed methods of construction that allow additions without undue structural or aesthetic interference with the original building. We’ve even attached log additions to non-log buildings. 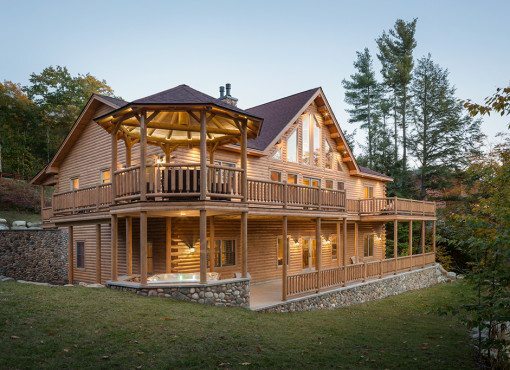 Katahdin Cedar Log Homes and our dealer network have developed relationships with several lending institutions for both construction and long-term financing. 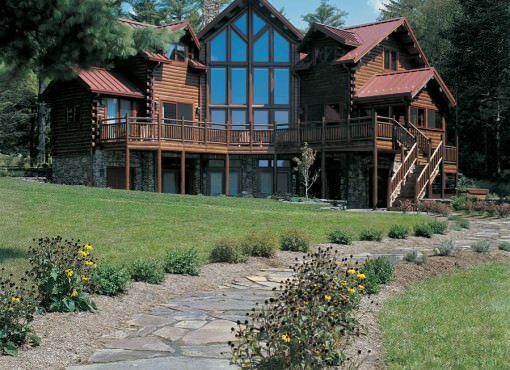 Because we’ve worked with them before, these institutions understand the specific needs for log home construction. Yes, with our package checklist, you may select the materials you wish to include in your package. Check out a standard Katahdin package list to see what materials are normally included in a package. 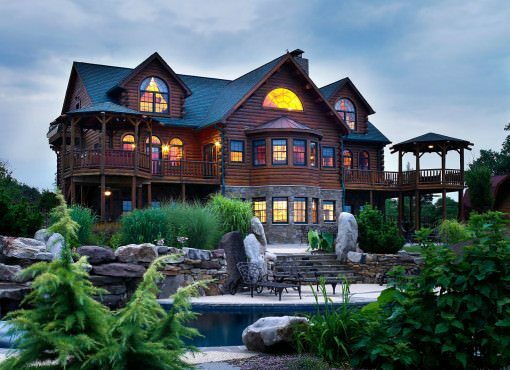 Katahdin Cedar Log Homes are shipped throughout North America and to many foreign countries. If there is no dealer in your destination, contact our corporate sales office for assistance. No. 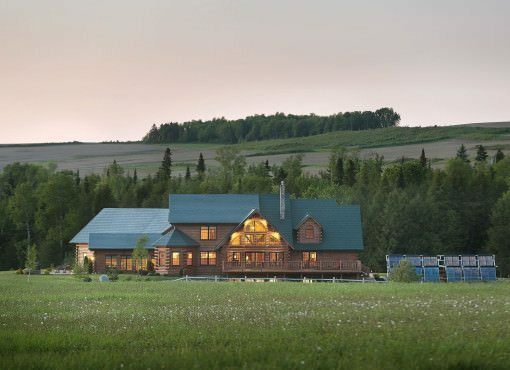 Just about any wall surface found in a conventional home can be used in a Katahdin Cedar Log Home. Other materials are frequently used to introduce different colors, textures, and patterns to contrast with the natural wood grain of cedar. Materials that can be used range from stone, drywall, stenciled plaster, and ceramic tile in any combination. 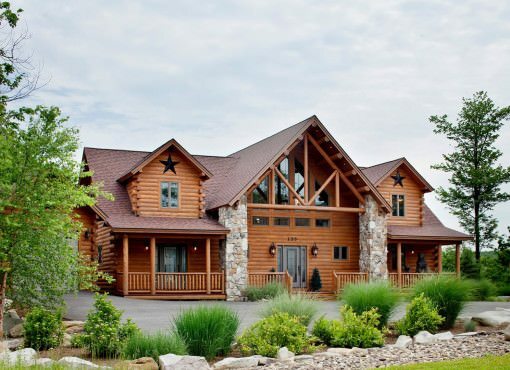 We like the easy care and energy efficiency of log homes, but enjoy contemporary styling combined with a greener footprint. 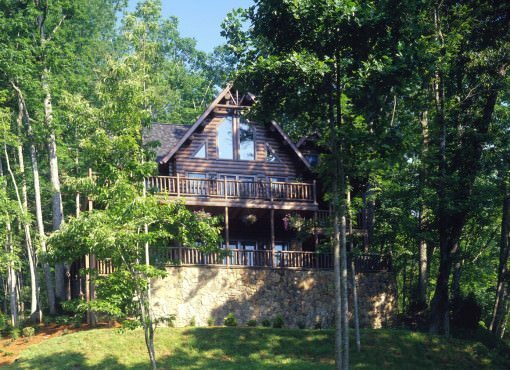 Can you design a log home for us? 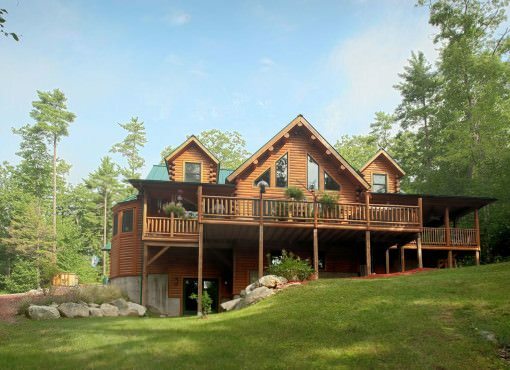 Just about any design or style now being built can be translated into a beautiful Katahdin Cedar Log Home. 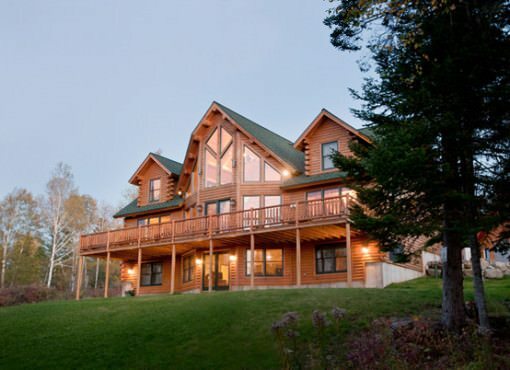 We are committed to encouraging our customers to consider constructing homes with an eye to the environment. In fact, some of the simplest “green” solutions are less expensive than traditional approaches and can save you money in the long run. Didn’t find the answer to your question? Contact us, we’d love to help answer any questions you may have.